Diets containing foods that are good sources of potassium and low in sodium may reduce the risk of high blood pressure and stroke. Add 1 scoop to 8 ounces of purified water. Do not take within 5 hours of bedtime. Do not store this product in direct sunlight or at high temperatures as these conditions may cause the powder to react. 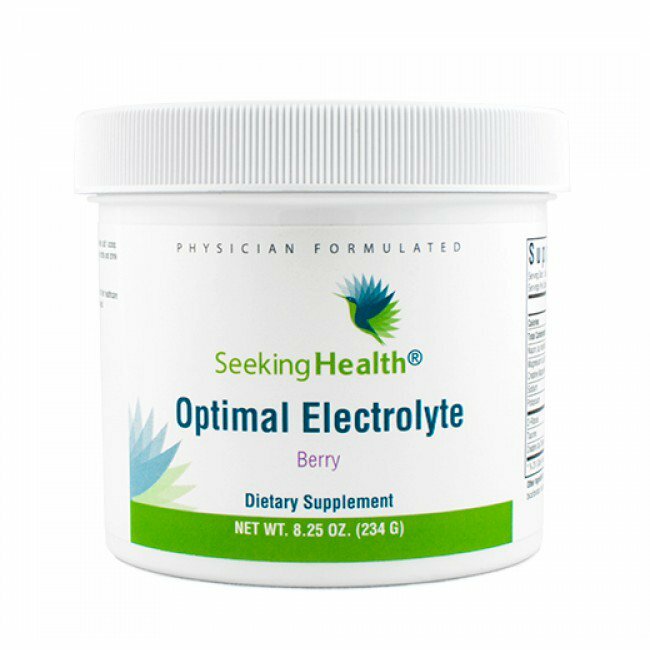 For those on-the-go, consider our Optimal Electrolyte Stick Packs, which are less reactive in these conditions. Children and pregnant or lactating women should consult their healthcare practitioner prior to use. Do not use if tamper seal is damaged. Consult with a healthcare professional prior to use if you are undergoing treatment for diabetes or any medical condition, or if you are using medications (esp. insulin, aspirin, or other medications that might affect blood sugar levels, or diuretics). Other Ingredients: Malic acid, citric acid, natural flavors, stevia leaf extract and natural grape powder (for color).